Is your website ready for DNS flag day? Vendors of DNS software along with big public DNS providers like Google, Cloudflare, etc. are observing DNS flag day on Feb 1, 2019. What effect it will have? Well, the current DNS systems are unnecessarily slow and big DNS providers have been following many workarounds to support non-published standards. Starting from 1st Feb, these workarounds will be removed. Hence, if your website doesn't follow published DNS standards, it might stop working. 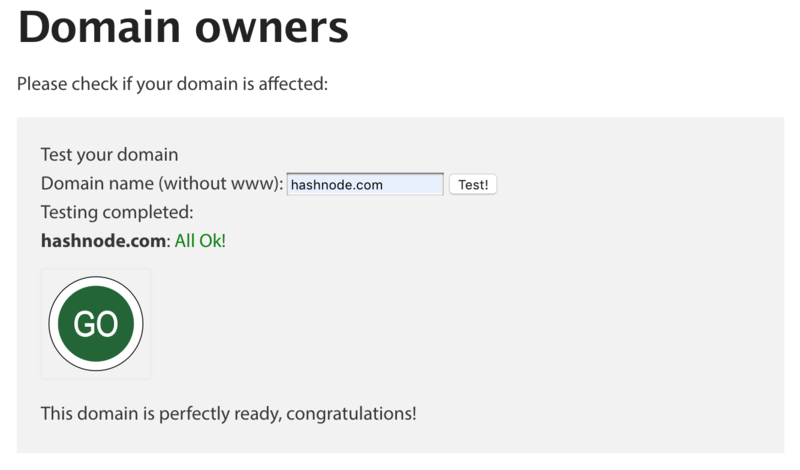 Go to "Domain Owners" section on this website: dnsflagday.net/#domain-owners.